Decibels: Get free DCBL tokens from the media delivery platform!!! Decibels is a new project focused on the online entertainment industry. And they’re developing a platform for multi-media encryption and delivery on the blockchain. Because they’ve been observing the industry. And they discovered that the digital era and pirating of information have greatly reduced the income potential for creators. Therefore, Decibels’ goal is to reclaim ownership and control of music and media, for their creators. And how can they achieve that? With the use of the blockchain network! Indeed, they want to tap into the security, scale, and speed of the technology to establish an entirely new digital era. On one hand, the team is targeting musicians, artists, designers, directors, developers, producers, film makers, journalists, authors, doctors, architects, etc. Basically all content creators who wants to share their work securely and get a fair income from it. On the other hand will be the users, you, me, everybody, people who consume media. In addition of enjoying content, each participant will have the opportunity to participate in the content’s price determination. Feel free to read their white paper for further details about this promising project. 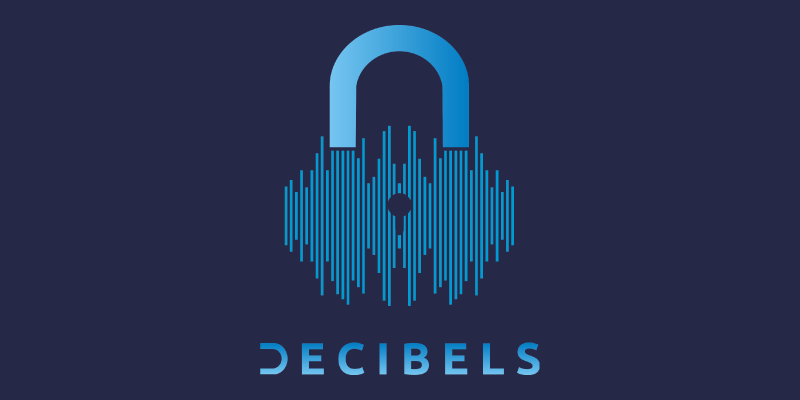 Decibel (DCBL) is a native ERC20 ethereum based token. And the total supply is 50,000,000 DCBL tokens. The primary utility of the tokens is to generate an income for content creators. And also for users. Because users are encouraged to share media files (if the artist allowed exchanges). And they’ll get earnings based marketing commissions in DCBL tokens. Of course, content creators and users can store their tokens, or decide to exchange them in other currencies or cryptos. And if artists want to promote their work, they can also spend DCBL tokens to launch site-wide campaigns. How to get the free DCBL tokens? I guess that if you’re visiting CoinAirdrops.com, it means you want to join Decibels airdrop. And you definitely should, because you can easily get free DCBL tokens. First of all, click on this link to visit the registration page. And click on Sign Up or Join Now! On the pop-up, fill in the requested information: Your name, a valid email address and an ethereum wallet address. Solve the captcha. And click on Sign Up. While you can start completing the actions on your dashboard, I’d recommend you to confirm your entry. Because you’ll get a first bonus to do so… So now, how does this airdrop work? It’s easy: You have a list of actions on your dashboard. And for each action you complete, you get entries. When the airdrop campaign is over on May 10, you’ll be able to claim tokens equivalent to the amount of entries you managed to complete. Finally, a word on their referral program: If you share your special URL, you can get 100 entries per referral! So I’d recommend you to share it with as many people as possible! Decibel is the blockchain approach to media encryption and delivery, aiming at reducing piracy and increase content creators' revenue. And they're giving away free DCBL tokens during an airdrop campaign. Don't waste time and claim your tokens now!